I have installed Backupper 4.0.3 and have created a backup of my dad's Dell Inspiron 5759 laptop (win 10 pro x64 creators edition with all current updates). I tried what I did before on windows 7 (see this topic) to overcome this but it sill provides the same error. Please help as I want to test that this system image backup works prior to my dad picking this up on Tuesday next week. Booted via usb (think legacy). Secure boot is disabled in bios. AHCI is enabled is bios. Did you create the WinPE boot disk based on legacy boot mode or UEFI boot mode? There seem to be a lot of people having trouble making the media disk using AOMEI program. I emailed support and they gave me a link to an ISO file that worked. It was a win 7 iso but worked fine with win 10. I finally did some research and found the new ADK packages on a Microsoft site.https://msdn.microsoft.com/windows/hardware/commercialize/manufacture/desktop/winpe-create-a-boot-cd-dvd-iso-or-vhd. They have the links for win 1703 and 1607 versions. After downloading, you only need to install 2 sections. Deployment tools and windows pre environment. After installing try AOMEI media creation again. Good luck. Maybe this will work for you. 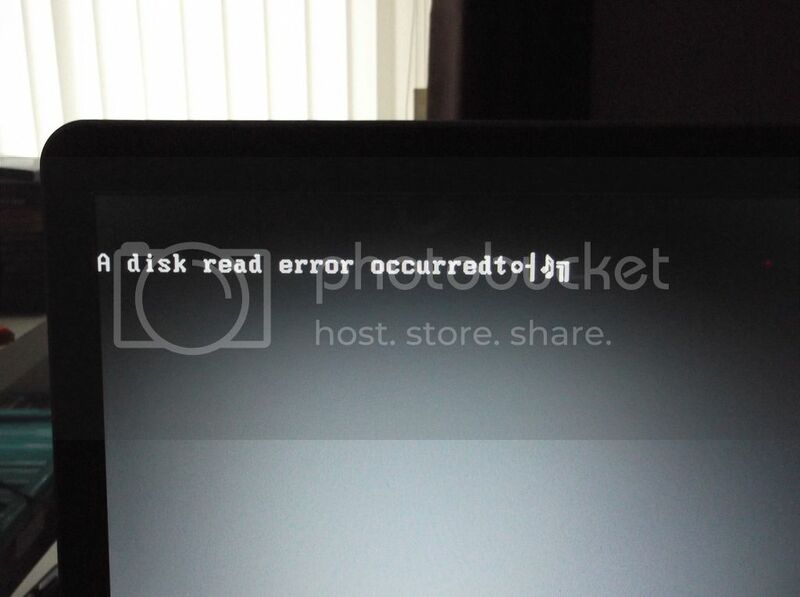 Can you try booting from CD/DVD instead of USB? USB seems always to be problematic with any program, not only Aomei... Burn your ISO to a DVD with a special ISO burning program, that is, not the ISO file itself like some people do. And remember, when booting on a BIOS/MBR machine you need a BIOS/MBR bootable medium. When booting on a UEFI/GPT machine you need a UEFI/GPT medium made on a UEFI/GPT 64-bit machine. You can boot a 32-bit medium on a 64 bit machine but not the other way around. And AFAIK Linux CD only boots on BIOS/MBR. For USB: have you tried using Rufus to create bootable USB? Hi all, I created it using UEFI mode, not legacy. I gave up on Backupper as my dad is collecting the laptop tomorrow. I've used the built in Windows tool instead and it is working so I will simply stick with that. PE rescue media can't boot in UEFI mode because in EFI directory boot directory with bootx64.efi inside is missing, you neeed to copy boot directory from Windows 10 installation image . That's stupid. Why isn't it included by default? I just made a Win8.1 EFI iso with Aomei version 3.5. Then I made a Win10 C.U. EFI iso -> CD with Aomei version 4.0.3. Win 10 takes some time to boot from a CD, but it did. This one also lacked bootx64.efi. If you created it using UEFI mode, you need to boot from UEFI, not legacy.